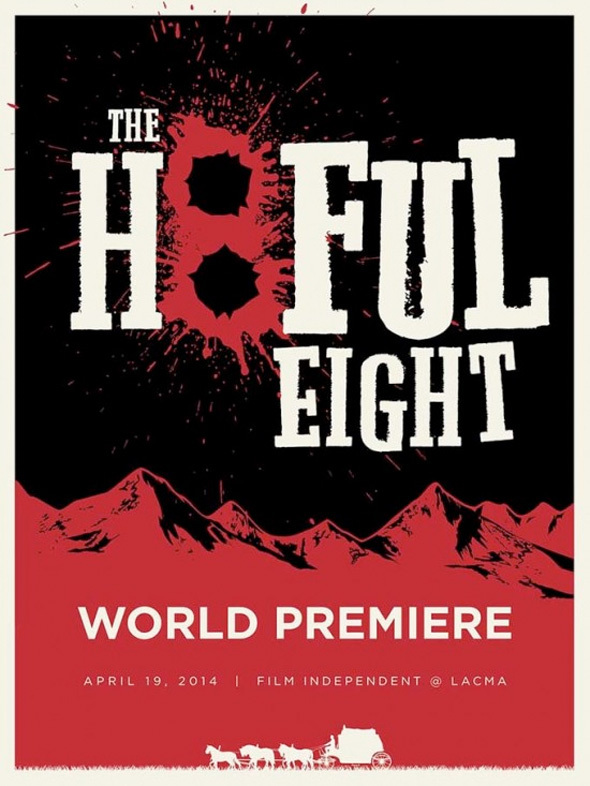 Though you may not have had the chance to attend the live reading of Quentin Tarantino's delayed western The Hateful Eight when the event took place last month at LACMA thanks to Film Independent, that doesn't mean you can't commemorate the event in your own home. No, Tarantino won't bring the cast of his film to your house for a special reading, but if you're a big enough fan of anything the Reservoir Dogs and Pulp Fiction director dishes out, then you may want to get ahold of this cool poster for the one night only event while supplies last. It's a cool little piece of artwork benefiting the great Film Independent. Look! If you missed news on the event, the cast of the live-read was revealed to include Samuel L. Jackson, Kurt Russell, Tim Roth, Amber Tamblyn, Walton Goggins, Michael Madsen, Bruce Dern, James Parks, Denis Menochet, Dana Gourrier, Zoe Bell and James Remar. None of the cast appears on the poster, but it's still a cool little piece to commemorate such a rare and cool event. The 16×20 screen print will cost you $45, and you can pick it up at Film Independent right here while supplies last (via The Playlist). It's as close as we'll get to the project until Tarantino rewrites the script and decides to put the film in front of the camera. He previously threatened having to wait five years due to the script leaking online, but it could happen sooner. Just announce the movie deal..